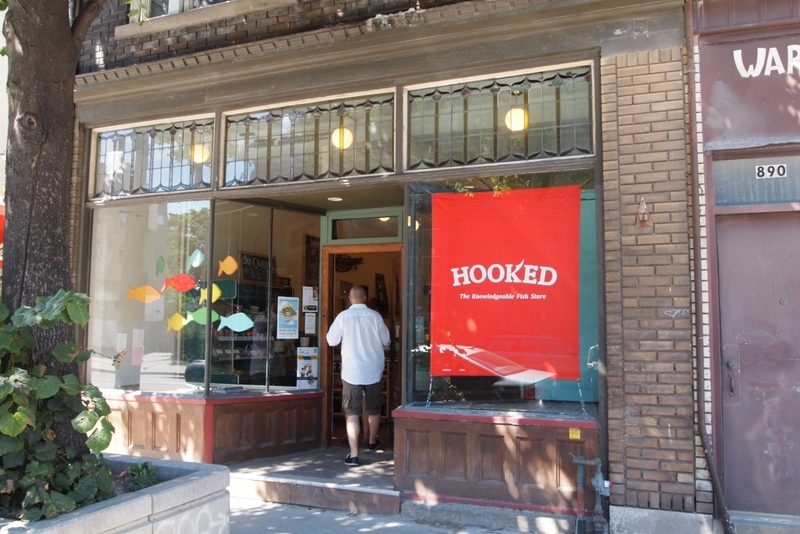 Food has found a home on Queen and Broadview in a big way. 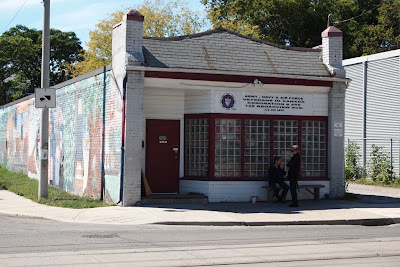 Loic was a pioneering presence in the area, opening up a gourmet takeout kitchen on a corner whose previously culinary renown was – sadly – limited to Dangerous Dan’s and The Real Jerk. 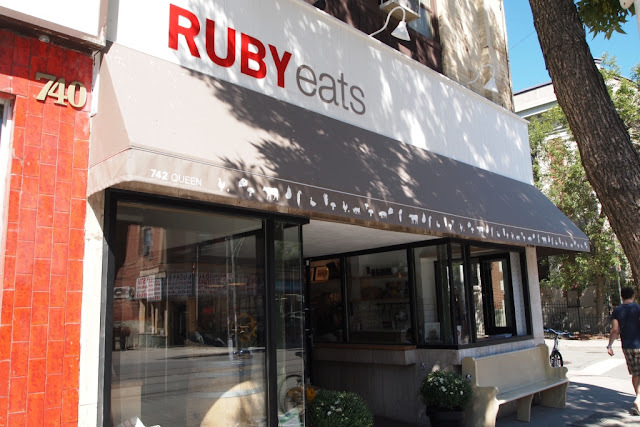 Queen and Broadview really “arrived” when Food Network celebrity chef Lynne Crawford opened up Ruby Watch Co., which specializes in a daily prix fixe menu. An offshoot store called Ruby Eats opened up recently, selling gourmet ingredients to do-it-yourselfers. For the moneyed, empty-nester cardigan crowd, there’s Table 17. Additional options can be found further east (Joy Bistro, Le Canard Mort). 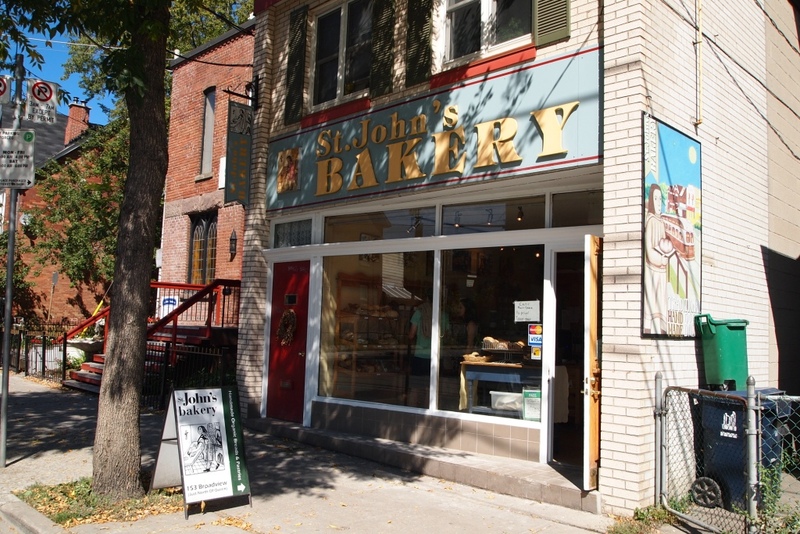 Venture up Broadview just north of the Legion and the Ethopian church, and you’ll find St. John’s Bakery. Yuppies with a social conscience can blow $6 on a loaf and eat their bread smug in the knowledge that they’re supporting the adjacent, eponymous church. Try the luscious olive and cilantro loaf – it weighs a couple pounds owing to the substantial quantity of juicy olives crammed into each one. One can often find the doors of the bakery propped open at odd hours as the loaves are being baked and cooled; staff are happy to swap your dough for theirs outside official store hours. To be clear, Queen and Broadview and, indeed, most of the East End outside of The Beach is still a neighborhood in transition. 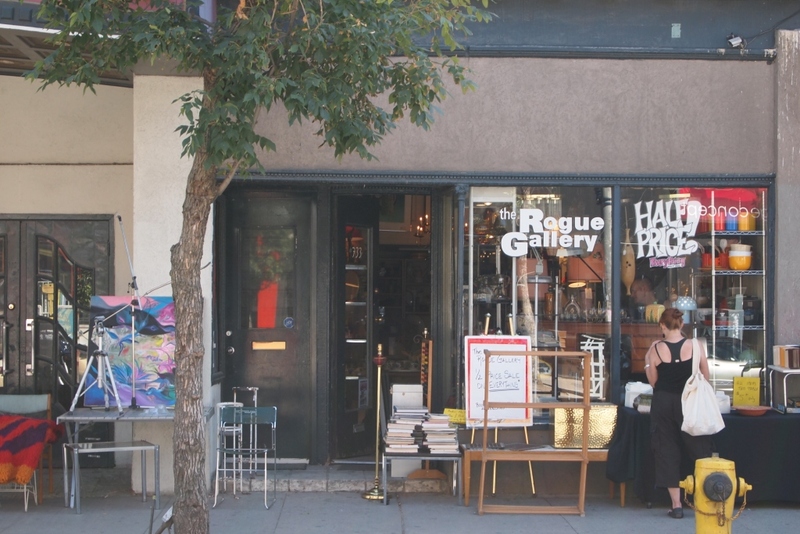 Stats Can reveals that the local population remains largely immigrant and working-class, with an average income lower than the rest of the City’s. And although condos are starting to displace old autobody shops, the area’s gritty roots remain firmly entrenched in visible symbols like the local Value Village. 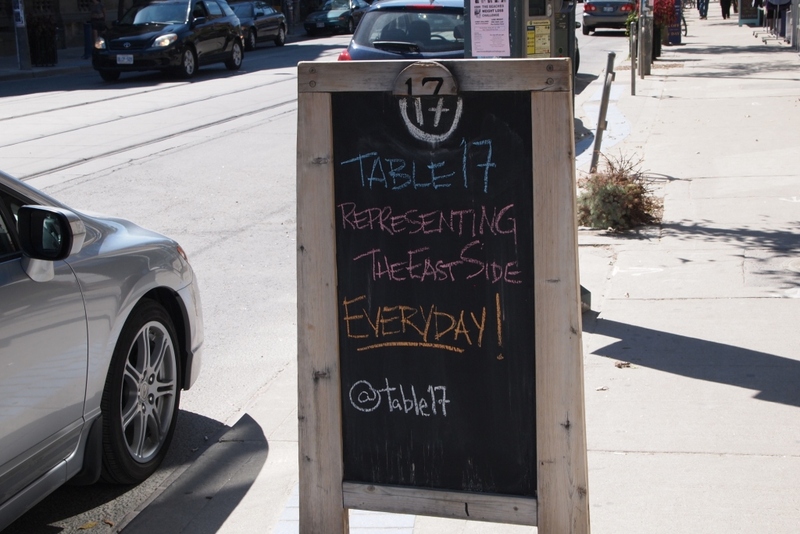 Indeed, the way that residents and locals have matter-of-factly embraced both shabby and chic is what makes Queen East endearing and arguably one of the most fascinating neighborhoods in the City at the moment. When the Woodgreen bought the derelict New Edwin hotel and transformed it into transitional housing for the formerly homeless, there were no raucous Town Hall meetings and no virulent NIMBYism. Contrast this with the community-wide uproar when developers wanted to bring in a Walmart, to the perceived detriment of local businesses. If King West is the Chivas-drinking douchebag in a designer blazer and $200 jeans, then Queen West is the hipster in horn-rimmed glasses and skinny jeans on a vintage 3-speed (no helmet). 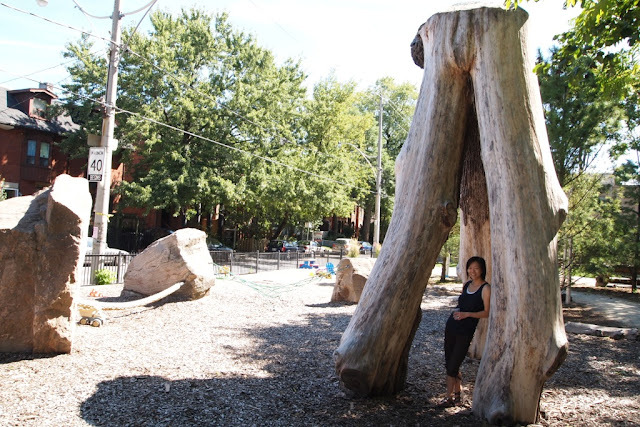 What is Queen East? She's that girl in high school who could’ve been one of the cool kids, but didn’t mind hanging out with the rejects and seemed content to remain in the fringes. Now all grown up, she’s confident and urbane, but decidedly – and intentionally – low-key.